A serial entrepreneur and well respected marketer, Ramzi Nakad is constantly challenging the status quo and pushing boundaries to introduce new concepts to the region. 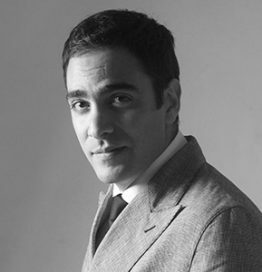 Ramzi began his career while still in university, with advertising powerhouse Leo Burnett Beirut in 2001. He quickly rose through the ranks and within two years become a senior manager, working across major local, regional & multinational accounts. In 2004 he was recruited by Dubai Development & Investment Authority (DDIA) to set up the Marketing Department for the property arm of Dubai Holding, and was tasked with launching some of Dubai’s largest real-estate projects, including Business Bay, Culture Village and Jumeirah Beach Residences. Ramzi soon came to the attention of Leo Burnett London, who offered him an international role, handling marketing activities on behalf of Proctor & Gamble in over 86 countries; a role which saw him flex his creative and strategic skills in executing impactful campaigns that led to the prestigious “P&G CEEMEA President’s Brand Building Award” in 2008. Having a deep affinity and sense of pride in his Middle Eastern roots, Ramzi moved back to Dubai in 2009 where he co-founded BRAG. As BRAG’s Managing Partner, Ramzi grew the company from two colleagues and a handful of clients in 2009, to thirty fulltime employees and forty-plus clients that span local start-ups and multinational corporations. He has helped secure partnerships with both government and private entities, including Dubai Tourism and Google, while also directing some of Dubai’s most talked about community events like Market OTB, Beach Canteen, Sole Dxb and Meet d3. A strong supporter of regional talent, Ramzi co-founded Fashion Forward Dubai (FFWD) in 2013. Offering a unified developmental fashion platform for the region, Fashion Forward has grown from strength to strength, and is now endorsed by Dubai Design & Fashion Council (DDFC) and supported by Dubai Design District (d3). Recognizing the importance of actively supporting SMEs and making tangible contributions towards economic sustainability, Ramzi is focused on establishing programs that enable knowledge sharing, mentorship and business development. In 2016, Ramzi became a member of the Sharjah Chambers of Commerce “Sharjah Seen” project; a government led business incubation initiative that extends support to UAE based entrepreneurs. Also in 2016, Ramzi helped establish an empowerment program under FFWD, named ‘EPIC’ that aims to extend business development support to emerging design talent through rolling out a series of initiatives fueled by industry collaborations. A business incubation program under BRAG, entitled “BRAG PLUS” followed in early 2017, aiming to help accelerate growth of complimentary startups by offering them a collaborative working environment, supported by access to a wealth of resources and opportunities. A regular commentator for thought leadership features and panel discussions, Ramzi has been selected to be a guest speaker at Start-up Grind powered by Google, and Esquire’s Entrepreneur Evening, in addition to being recognized by Start Up magazine, Campaign & Entrepreneur as a voice for the evolving events industry of the Middle East. Ramzi lives in Dubai, with his wife Rula Galayini who is a regional accessory designer and entrepreneur. Ramzi is an avid traveller and when he’s not trendspotting the latest ‘ahead of the curve’ activation, he can be found engaging his inner travel junkie.